A gorgeous garden can be a glorious highlight, or can simply add variety, color and texture to your landscape design. We'll design and install the garden you've always wanted, with the colors and plants of your choice, that grow well in your environment and soil. We'll design and plant your English Rose Garden. We help you select roses that are beautiful, aromatic, hardy and don't require excessive care. We teach you proper rose care so that you can get the most enjoyment out of your roses, and we provide access to consulting rosearians. Our soil testing determines pH and ambient amounts of nitrogen, potassium, and phosphate. 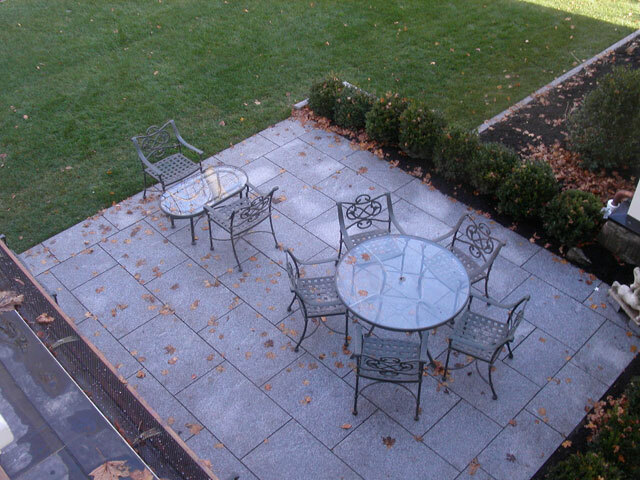 Granite patio embellished with surrounding boxwood, works well in shaded areas close to the house. 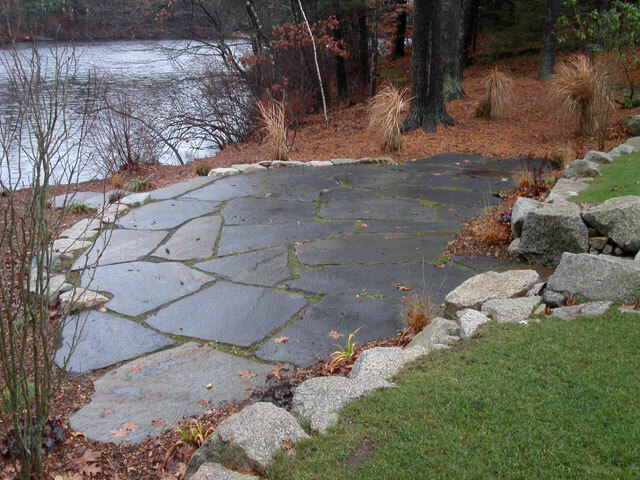 A rainy fall day does not dampen the appeal of this lakeside patio made from Goshen stone. 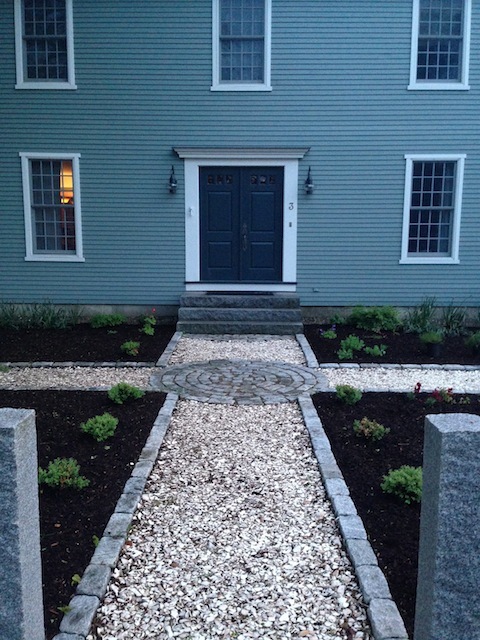 Raised, mulched beds containing a small boulder, a rhododendron, and anchored with hosta, provide low cost gardens to enhance this shady front yard covered in moss. 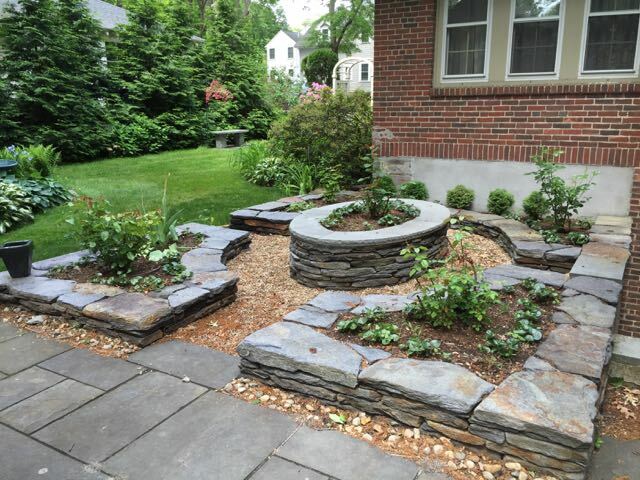 A stylish elliptical garden is built using Goshen stone with a bluestone cap on the center planting bed. 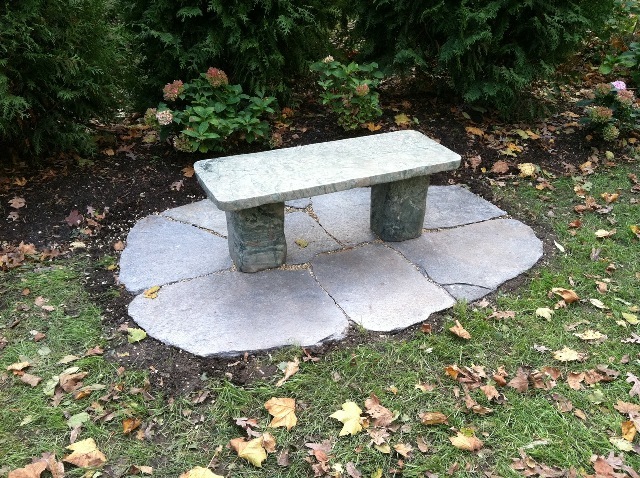 A close up of a Jade bench set on Goshen stone is seen in the background. 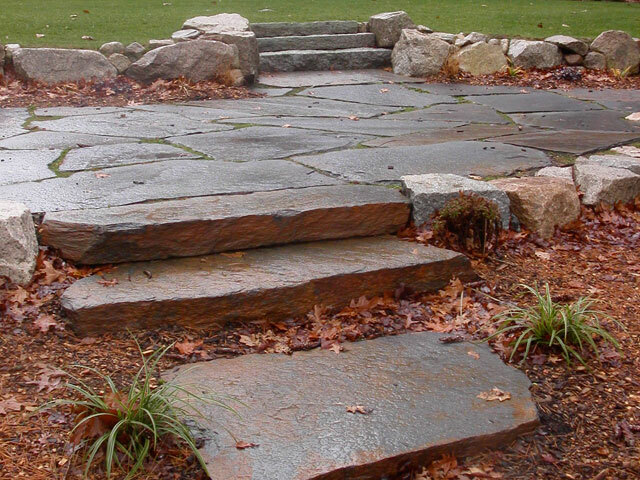 These cobblestone lined, sea shell walkways form four large garden areas to support the Owner's gardening hobby. Add tranquility to your garden with a stone structure like this granite figure. What is more delightful than a simple cobblestone path through the garden? 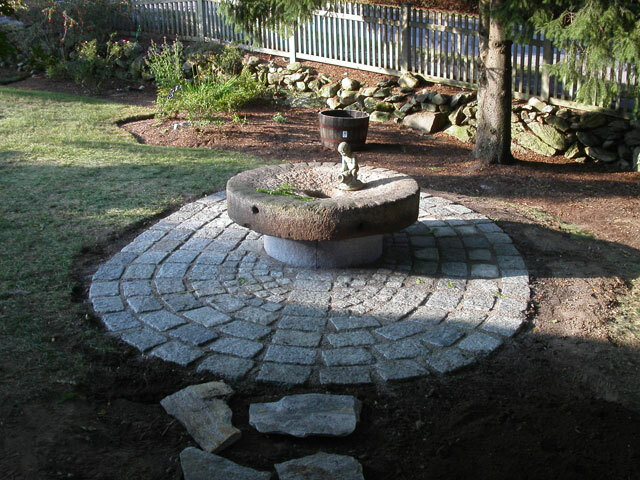 Arbor with Goshen stone stepping stones leads to jade bench also set on Goshen stones.